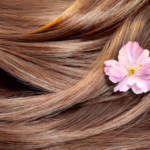 If you don’t have a positive perception about weaves, you may have heard some of the common misconceptions about them. 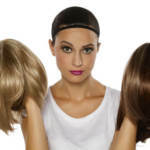 Many people think weaves cause damage to hair, which is true if your hair isn’t properly cared for. 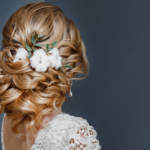 The secret is incorporating the best hair products for Remy hair and altering your hair care routine slightly to account for the changes to your hair. Here are some tips on caring for your weave once you leave the stylist. Oily products can create extra weight on your weave, which makes it look flat and dull. Plus, the oils will eventually build up and cause some unpleasant odors, in addition to the undesirable appearance. Instead, look for a quality weave shampoo and conditioner to insert into your routine, which contain less oils. In addition to using the best shampoo for weaves, your hair-washing technique is also important. Section out your weave into four sections and wash each section separately. This change in your washing technique will ensure each part of your hair gets cleaned thoroughly and will look better as a whole. You may only condition your hair once or twice each week, but consider doing it more frequently when you incorporate a weave. However, you have to be sure to use a weave shampoo and conditioner, since the formula is designed to work better with your weave. Otherwise, oily conditioners could cause more harm than good. Flat irons or curling irons won’t do you any favors when caring for weaves. One of the secrets to having the best-looking weave is to refrain from manipulating it as much as possible. To do this, use your fingers to comb through your hair lightly, which will provide much less stress to it. RemySoft has all the hair products for Remy hair you will ever need to care for your weave. The combination of the right products and the right technique will eliminate any concerns over how to care for your weave once you leave the stylist. Now that you know exactly what you need to do, you can feel confident about keeping your weave looking great. Be sure to contact us for more tips on caring for your weave, or if you have any general questions about hair care.